Washington Open Elementary School’s Drama Program celebrated its 20th year with a musical production for “Disney’s Mary Poppins.” During the Jan. 31 Chelsea Cast dress rehearsal, participating students revived the optimistic spirit of this classic tale of a nanny who touches and changes an affection-deprived family. 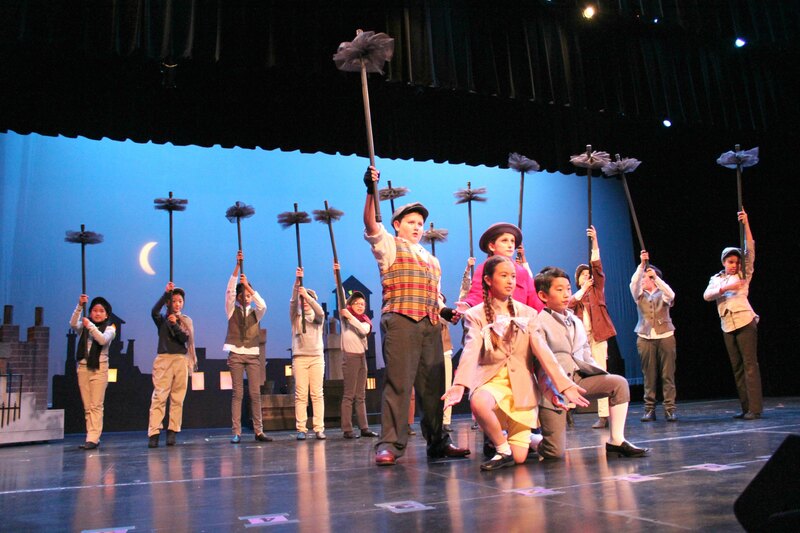 With two student casts and one parent and staff cast, the show ran from Feb. 1-10 at the Santa Clara High School Performing Arts Center. 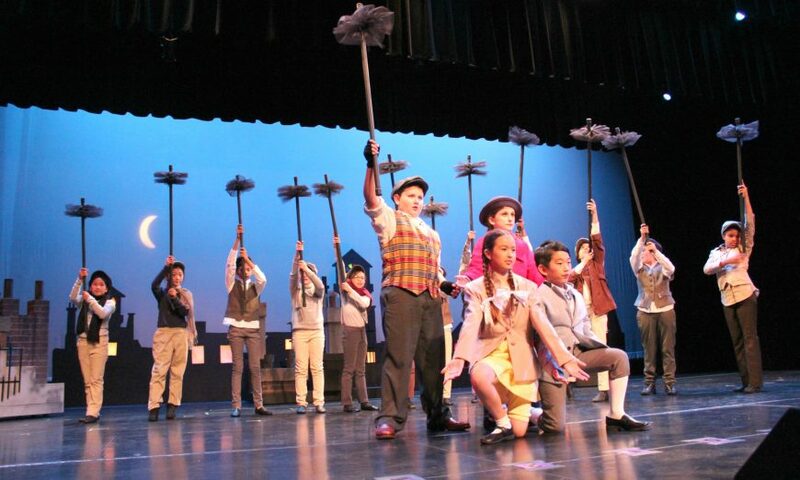 During the first act, the uptight George (Nico Fischer) scolded his children for loudly singing to “Supercalifragilisticexpialidocious” in their home. But before the curtains came down, a relaxed George cheerfully belted out lyrics of this very song to his colleagues at the bank. A few cast members explained the meaning of “supercalifragilisticexpialidocious” and how they learned to use this 14-syllable word for the show. For example, Zaria Randall-Reed, 10, who played Mary Poppins, recommended listening to “Supercalifragilisticexpialidocious” in chunks to learn the spelling. Wendy Guttman, Show Producer, explained what “supercalifragilisticexpialidocious” meant to her.